HARRISBURG, Pa. -- Democratic Gov. Tom Wolf is rejecting a Republican-drawn map of Pennsylvania's congressional districts to replace the GOP-drawn map struck down in a gerrymandering case, leaving him to make a different recommendation to the state's high court. 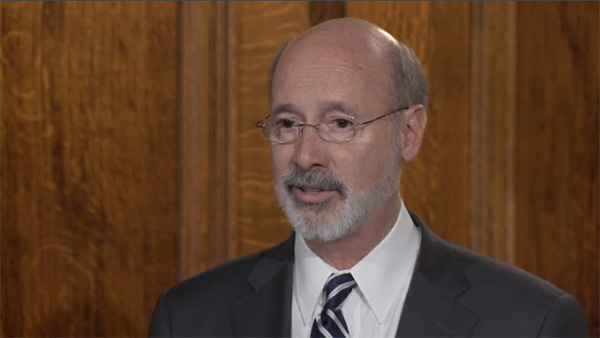 Wolf's move Tuesday comes six days before the Democratic-majority state Supreme Court says it'll impose new boundaries for Pennsylvania's 18 congressional districts. Wolf says the Republicans' latest plan still contains unconstitutionally partisan tactics that favor Republicans. Wolf hasn't released a proposed map, and justices could consider proposals from lawmakers and other parties to the gerrymandering case. The court threw out Pennsylvania's GOP-drawn congressional map last month, saying it violated the state constitution. A redrawn map of Pennsylvania districts could boost Democrats nationally in their quest to take control of the U.S. House.